Seasoning firewood is the drying process that turns cut wood into usable firewood. Wood that contains excessive moisture is tough to light and produces more smoke in the form of creosote that can build up in the chimney. The seasoning process involves preparing the wood and allowing it to age and dry. Properly cut and split elm firewood cures in about one year. Seasoning firewood is the drying process that turns cut wood into usable firewood. Wood that contains excessive moisture is tough to light and produces more smoke in the form of creosote that can build up in the chimney. The seasoning process involves preparing the wood and allowing it to age and dry. Elm is a common hardwood used for firewood in many parts of the country. Generally, properly prepared elm firewood seasons in about one year. Wood cut from live trees would be ready to use, as firewood, during the second winter after cutting. This allows air drying to naturally reduce the moisture content in the wood to a level that will burn well. The wood is considered green or unseasoned until the seasoning process is complete. In order for the wood to air-dry, it must be cut and split. 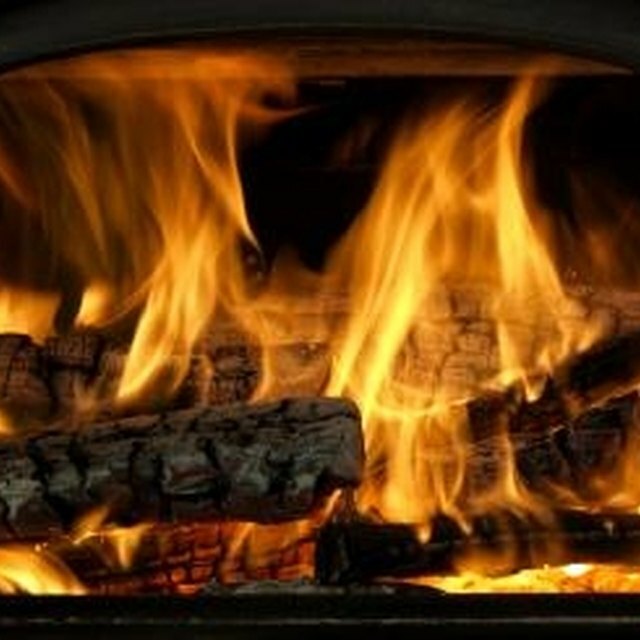 The lengths of firewood are cut to about 18 inches to fit into the fireplace or wood stove. Splitting the wood lengthwise reduces the size of the pieces which, in turn, reduces the seasoning time. The process also exposes a larger internal surface area of the log to the air. The smaller the split firewood pieces, the quicker the wood seasons or dries. Store the split firewood in stacks. The natural irregularities in the wood shape and size create voids in the stack, allowing air movement that promotes drying. Placing the wood in a dry area sheltered from rain or snow prevents additional moisture from being added to the wood. Remove the bark from any firewood cut from trees affected by Dutch elm disease. The disease is spread by the elm bark beetle that lives just under the bark. Storing elm firewood with the bark on provides these beetles with another home and promotes the spread of the disease.